The doctors at Plaza Towers Ob-Gyn are skilled in using state-of-the-art techniques for safe, effective gynecological care and surgery to help Santa Monica, CA, women enjoy optimal heath and wellness. The American Cancer Society recommends mammograms every year for women 40 years of age and older, but data from the U.S. Preventive Services Task Force (USPSTF) recommends routine screening should be conducted between the ages of 50 and 74 for women in good health and without cancer risks. The best way to determine how often you should be screened is to talk with your doctor about your risks. Generally, women from 21 to 30 years with normal test results old should have a Pap test every two years. Women between 30 and 65 years of age should have Pap tests every three years. HPV tests should also be performed at the same time. What happens if the results of my Pap test are abnormal? Most abnormal Pap tests are nothing to worry about, but they still require additional evaluation to rule out serious medical issues. If your Pap test is abnormal, a special technique called colposcopy can be used to look at the vaginal walls and cervix and to remove small tissue samples (biopsies) for further evaluation. In some cases, a procedure called a cervical cone biopsy may be used to obtain samples higher up in the cervix. Once the results of these tests come back, your doctor will discuss any followup treatments you may need. 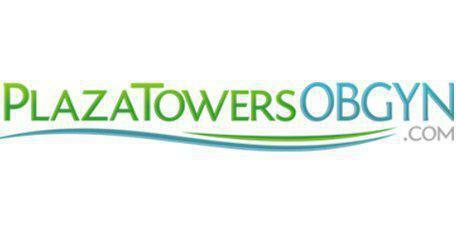 What types of surgery do the Plaza Towers Ob-Gyn doctors provide? Plaza Towers Ob-Gyn physicians are skilled in all types of gynecological surgery, including both minimally-invasive methods and traditional “open surgery” techniques for procedures like hysterectomy (removal of the uterus) and oophorectomy (removal of the ovaries). In addition, surgical procedures are available to treat uterine fibroids and adhesions (scars), endometriosis, fertility issues and other gynecological issues. Every procedure is performed using the safest, most advanced state-of-the-art techniques and technology for optimal results.